Blue – best used for inputs that make up historicals, assumptions, and drivers (172.551 or =258.849+9.988-2.624). Black – this color should be used for calculations and references on the same schedule or sheet (C4). Green – references from another schedule or sheet should be exemplified in green (=Sheet1!B3). Red – red represents caution and as such, should be used as a warning to another user or link to another model (=[TTS_v1.0xls]Sheet1!C3) . Dark Red – a deep, dark red is appropriate for a formula linking to databases like Capital IQ (=CIQ($E$2, “IQ_TOTAL_REV”,IQ_FY)). 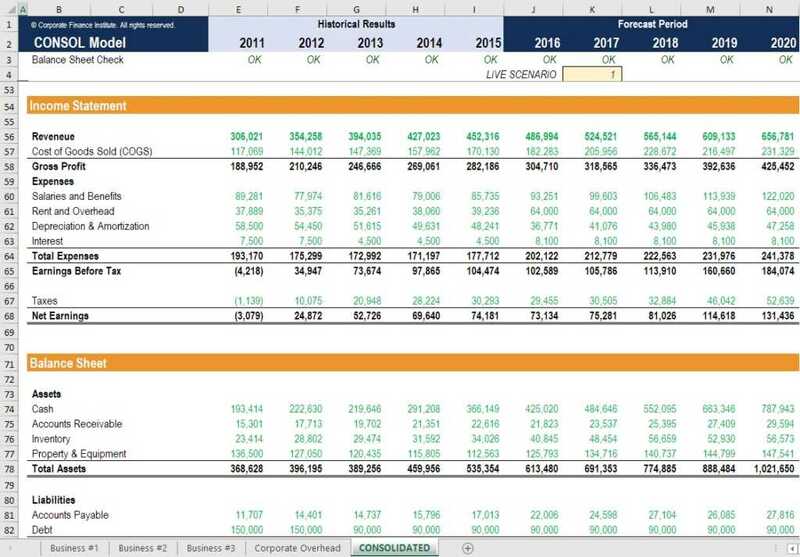 Excel will always round for you according to the format. For example, if cash is entered as 25.382, excel will present it as $25.4. This will ensure that all calculations will be as accurate as possible while still looking great and clean. Excel will flow and be dynamic in this sense. For example – =F5*(1+10%) should not have the percentage symbol within the calculation. Instead, break out inputs into a separate line item. I.e. the 10% should be input into another cell (G7 = 10%) and should be referenced as – =F5*(1+G7). When formatting numbers in a financial model, there are a few basic rules that help keep things simple and clean. To begin with, a good rule of thumb is to utilize excel’s standard types – number, currency, accounting, etc. By doing this, excel will register and display things such as negative numbers in parentheses as the program aligns the decimals between positive and negative numbers. One should use custom formatting for percentages, firm specific formats and more creative presentations to guarantee numbers are computed appropriately in their correct format. A custom number format is created in “Type” after using the access method. # – shows significant numbers if they are present. This is often used to show the (,) as a 1000 separator. 0 – shows insignificant numbers. This is often used when showing decimals. For example, the number 3.4 typed as 0.0 would be displayed as 3.4 where the number 3.4 typed as #,###.0 would be shown as 3.4. Semi-colon (;) – this is the code that stands a separator between the positive and negative format types. There can be up to three semi-colon format separators (positive ; negative ; zero ; text). Underscore (_) – this creates a space the size of the next character and is used to align decimals for positive and negative numbers in a column. It is common to see letters or words after a number whether its dealing with multiples, basis points, or years. Excel will read these as a “number” and not as a “text”. For example, the number 3.4 typed as #,##0.0x would be displayed as 3.4x and the number 150 typed as 0 “bps” would be shown as 150 bps. Formatting matters because excellent analytical work and excellent presentation are both important for a multitude of reasons. For starters, your work represents you and your firm. Also, sloppy, inconsistent work may give the wrong impression about the work quality. Lastly, the numbers can be 100% accurate, but a poor presentation could lose a deal. It is very important to take the few extra minutes to format and make the work easy to understand. Financial modeling overviewWhat is a Financial Model?A financial model is a representation of a company’s past and future performance based on it's assets & operations. Find out: what is a financial model? Financial model formatting basicsFinancial Model Formatting: Numbers​Financial model number formatting improves the clarity, efficiency, and consistency of a financial model is to utilize consistent decimal formatting.